We are in the sophomore season of Beers Made by Walking and we kicked off last weekend Colorado with an evening hike up to the Palmer Lake reservoirs. 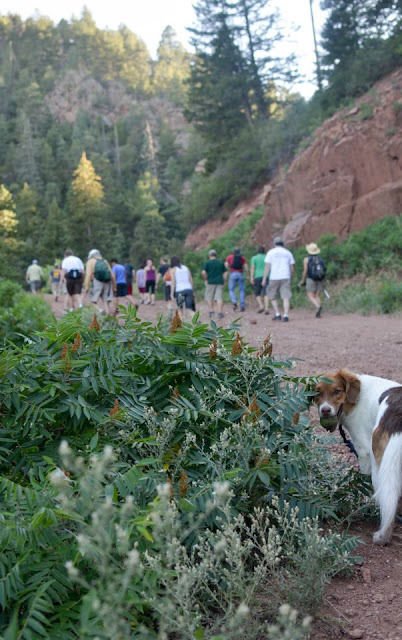 There were 21 people and one dog participating in this picturesque hike. Seven out of our eight homebrewers came along to learn about the plants on the hike and to begin making plans for their future beers. 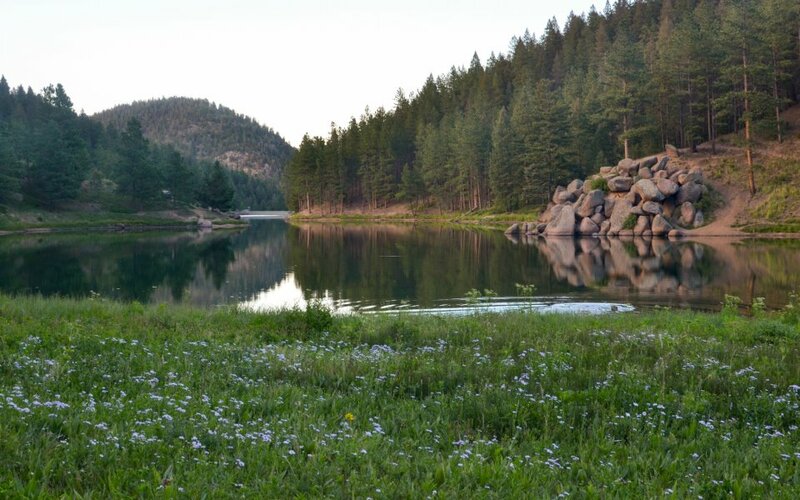 Liz Klein, a local botanist, who also led one of our hikes last year, pointed out edible plants and flowers along the hike that led to two reservoirs in the mountains near Palmer Lake. Liz identified approximately fifty different plant varieties, and a suprisingly large amount of them were edible. We were especially surprised to see so many plants doing so well in the midst of such an extraordinarily warm summer. 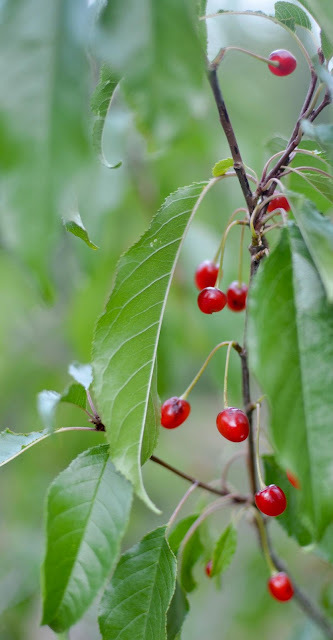 We found many berries and fruits, including chokecherry, wild plum, raspberry, pin cherry, golden currant and strawberry. 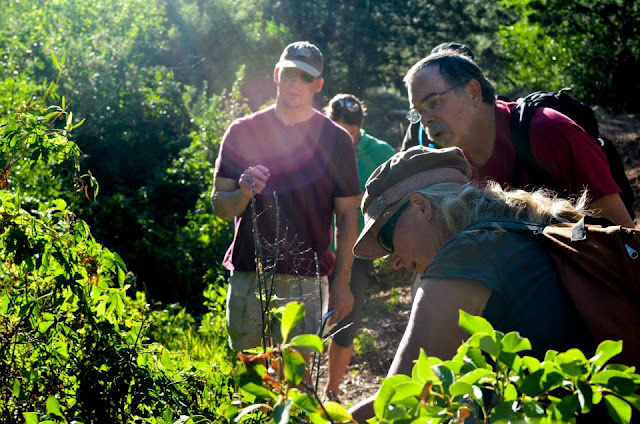 Other plants identified included wild hops, sweet clover, wormwood, spider wort, wild rye, wild onion, yucca, wild oat, yarrow, horse mint, juniper, and plantain among others. It was a great evening for learning about the amazing flora in our region. Liz Klein showing homebrewers Mike and Lefty a possible ingredient they could use in their beer recipe. 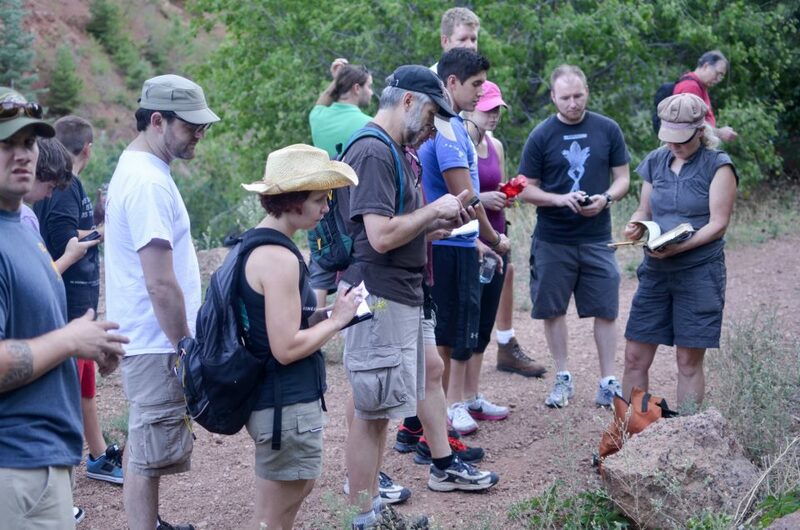 We were also privileged to have Robert Houdek join us on the hike. He helped design the Pikes Peak Atlas, a great hand-drawn map of trails in the Pikes Peak region. Robert was our trail guide and showed us some beautiful views along the hike. The beers will be made by the homebrewers at Pikes Peak Brewery in the upcoming weeks. They are scheduled to be served at a special tapping in September, although the date recently changed due to the fire pushing back our hike. The new date has not yet been set so please check back frequently. 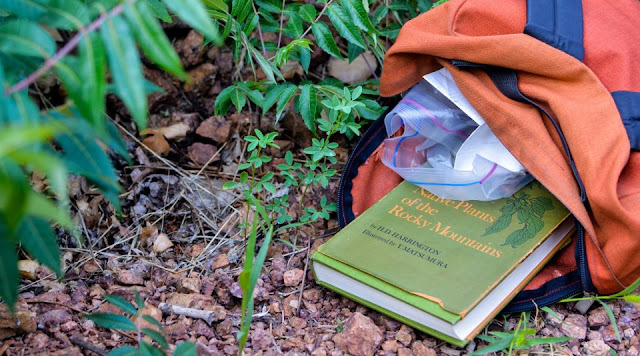 Both Chris Wright, the head brewer for Pikes Peak Brewery, and Alan Stiles of Phantom Canyon will choose one of these eight hike inspired beers to re-brew for another BMBW tapping that takes place in October at Wynkoop Brewery in Denver. The homebrewers for this summer are: Zenia Brink and Carol White, Oren Weil and Bryan Paradisi, Scott Simmons, Scott Werner, Josh Adamski, Mike Bordick, John Landreman, and Lefty McGuckian. Liz showing the group a wild plum tree. 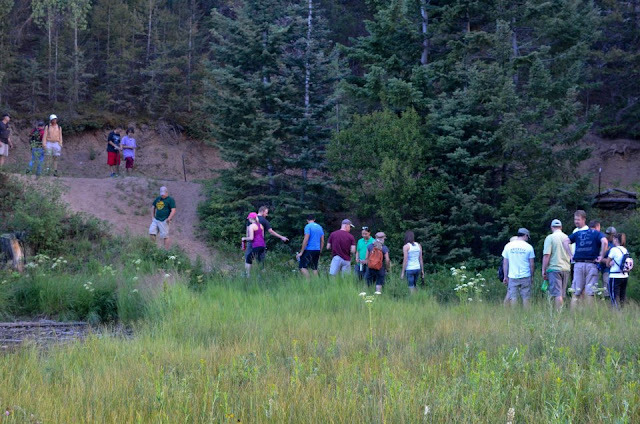 Unfortunately, due to the fire, the Palmer Lake Hike is the only hike we are doing this summer. We'll post all sorts of information as it becomes available concerning the tasting date, the brew date, and the descriptions of the beers. Check back here also if you'd like to keep track of all the various BMBW events (it's happening in Oregon, Washington, and multiple places in Colorado as well). Cheers!